WEALTHY clubs including Hawthorn, Collingwood and Richmond are pushing to have welfare spending removed from the football department soft cap. 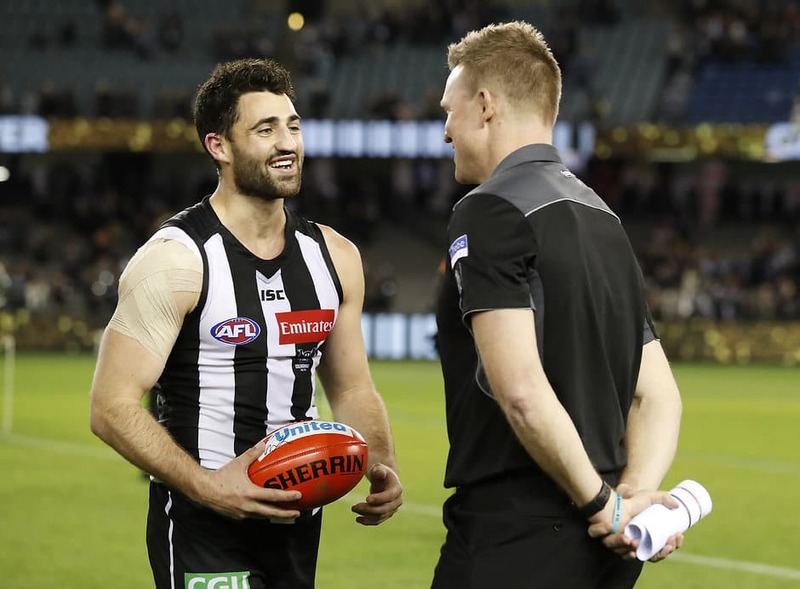 The soft cap was one of the main agenda items when the AFL met separately with club CEOs and football managers in Melbourne on Thursday ahead of the NAB AFL Draft. The cap was introduced in 2015 to reduce spiraling football department spending among clubs (excluding player salaries, which were already constrained by the salary cap). With mental health becomingly an increasingly big issue in football, the Hawks, Magpies and Tigers are among a group of powerhouse clubs arguing that spending on welfare staff and programs should be removed from the soft cap. There were up to six clubs whose football department spending sat close to, or on, the soft cap limit of $9.5 million this year, with Sydney understood to be among them. Other clubs, however, oppose any change. In their view, there is sufficient room in the soft cap to invest appropriately in welfare. One football manager told AFL.com.au any club tempted to scrimp on welfare clearly had its football department priorities out of whack. The debate will remain unresolved for now, with welfare spending set to stay in the soft cap at least for 2019. The AFL also flagged on Thursday the possible reduction of match-day staff in the coach's box, interchange bench and on the ground. Restrictions have already been placed on runners, who from next season can only enter the playing surface after a goal has been kicked, and water carriers, who are not permitted to enter the ground during live play. The fact the AFL is considering imposing further match-day restrictions on clubs' off-field staff underlines its determination to remove any possible distractions to the on-field spectacle. In 2018, clubs were allowed 26 staff who could access the ground during games, including coaches, fitness staff, interchange stewards, doctors, physiotherapists, data analysists and property stewards. The League's intention to crack down on bumps that cause accidental head clashes such as Ryan Burton's on Shaun Higgins last season. The possible introduction of a red-card system for serious on-field incidents, something that was considered by the Competition Committee on Wednesday night. No change will be made next year and some clubs harbour serious reservations about whether a send-off rule would be practical in football. The proposed 2019 AFLX tournament that will feature four teams at Marvel Stadium on Friday, February 22. Under the football department soft cap, clubs have to pay a 100 per cent tax for every dollar they spend over the designated limit.